Medicine is a very complex field. In the past, a doctor could learn almost all that we knew about medicine. Now that is impossible. So after finishing medical school, young doctors choose what kind of doctor they wish to be. After school, they usually do more years of training to learn about the kind of medical specialty they want to do. Some doctors try to learn some about all of the different subjects of medicine and how to treat all patients. These doctors are called 'primary care' doctors or "primary care physicians" (PCPs). Sometimes they are also called 'generalists' or even 'general practitioners.' In the United States, these kind of doctors are sometimes called family practitioners or family medicine doctors. When a problem is strange or complex, they give it to a specialist. There are other doctors who are also 'primary care' doctors. Pediatricians are primary care doctors, but only for children. Internists are primary care doctors for adults. Some gynecologists do primary care, but for women only. A dermatologist is a doctor who knows more about the skin and diseases of the skin. A psychiatrist is a doctor who knows about thought, mood, and mental illnesses like depression and schizophrenia. An orthopedic surgeon is a doctor who knows about bones and joints, and fixes them when they are broken or diseased. In the broadest meaning of 'medicine', there are many different specialties. However, within medical circles, there are two broad categories: "Medicine" and "Surgery." "Medicine" doctors do not do surgery. To be a medical specialist, most doctors have to train in Internal medicine first. Examples of medical specialists include cardiologists, pulmonologists, and obstetricians. "Surgery" doctors (surgeons) do surgery. To be a surgical specialist, most surgeons have to train in "General Surgery" first. Examples of surgical specialists include orthopedic surgeons, neurosurgeons, and trauma surgeons. There are some medical specialties that do not fit into either of these categories, like radiology, pathology, and anesthesia. In the U.S., all specialties must pass all three steps of the national medical board examinations. Steps I and II happen during medical school. Step III happens during intern year, where a person works as a student at a hospital. After a person passes these exams, they then have to pass more exams that are specifically about their specialty. These tests are both written and oral. There are only a few training spots per specialty each year, so some specialties can be very competitive. Some medical students do not get to train in the specialty they want. Other specialties do not have nearly enough doctors. This can happen because not enough doctors apply for training spots; because more training spots are needed; or because many people fail out of their training program. Surgical training requires at least five years of residency after medical school. 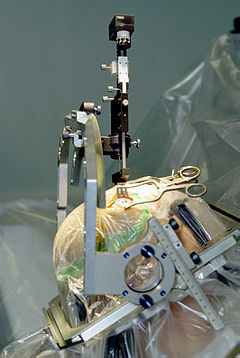 Sub-specialties of surgery often require seven or more years. In addition, fellowships can last another one to three years. Because fellowships can be competitive, many trainees spend another two years on research. Because of this, for some people, their surgical training will not finish until more than a decade after medical school. Surgical training can be very difficult and can take a lot of time. An average surgical resident works 75 hours per week. Some subspecialties of surgery, like neurosurgery, require even longer hours. Residents training in these specialties often work 80 hours a week. Officially, these specialties only allow their residents to work up to 88 hours per week. However, many surgical programs still require residents to work more than 88 hours a week. Surgeons always need to be available in the Operating Room (OR), where surgeries happen; the Intensive Care Unit (ICU); and the Emergency Room (ER). Medical training, unlike surgical training, requires three years of residency training after medical school. Doctors can then do a one- to two-year fellowship in their subspecialty. In general, medical residents work less hours than surgical residents. Oncology Treat cancer. Different kinds of oncologists specialize in treating different kinds of cancer. This page was last changed on 4 April 2019, at 13:45.